TORONTO, April 3, 2018 – Hydro One Limited (Hydro One) is pleased to announce the appointment of Omar Javed as Vice President of Investor Relations, effective immediately. 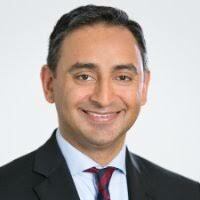 Mr. Javed has been with Hydro One since the Initial Public Offering, and was most recently Director, Investor Relations. He has tremendous experience with both private and public markets having worked in Private Equity, Investment Management and Management Consulting. Since the Initial Public Offering, Mr. Javed has played a key role in shaping the successful investor relations program that was recognized as the Best Investor Relations for an IPO by IR Magazine. Mr. Javed is a results-driven, proven leader with global experience. At Hydro One, he will be responsible for leading the Investor Relations function. Mr. Javed holds a Bachelor of Arts in Economics from Western University and a Masters of Business Administration from the Rotman School of Management at the University of Toronto. We are Ontario’s largest electricity transmission and distribution provider with more than 1.3 million valued customers, over $25 billion in assets and 2017 annual revenues of nearly $6 billion. Our team of over 7,400 skilled and dedicated regular and non-regular employees proudly and safely serves suburban, rural and remote communities across Ontario through our 30,000 circuit km of high-voltage transmission and 123,000 circuit km of primary distribution networks. Hydro One is committed to the communities we serve, and has been rated as the top utility in Canada for its corporate citizenship, sustainability, and diversity initiatives. We are one of only five utility companies in Canada to achieve the Sustainable Electricity Company designation from the Canadian Electricity Association. We also provide advanced broadband telecommunications services on a wholesale basis utilizing our extensive fibre optic network. Hydro One Limited’s common shares are listed on the Toronto Stock Exchange (TSX: H).